ESET's multi-layered approach based on proactive and smart technologies allows us to detect threats faster and at different stages of the cyber kill chain, helping all our customers benefit from stronger and more effective protection combining endpoint-based and cloud-augmented technologies. "ESET product achieved the best results due to a combination of their ability to block malicious URLs, handle exploits and correctly classify legitimate applications and websites." SE Labs compared the effectiveness of anti-malware products against targeted attacks using well-established techniques and public web-based threats that were live on the internet at the time of the test. The results indicate how effective the products were at detecting and/or protecting against those threats in real time. "ESET’s business solution made an impressive run in another of our Business performance tests, reaching the lowest impact score of all tested solutions." These tests evaluate the impact of anti-malware software on system performance, as programs running in background – such as real time protection antivirus software – use some percentage of system resources. Taking these tests as reference, users can evaluate their anti-virus protection in terms of system speed (system performance). 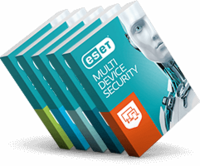 "ESET had zero false alarms on the used set of clean files." False Positives (FPs) are an important measurment for AV quality. One FP report from a customer can results in large amount of engineering and support work to resolve the issue. "Among the performance on the spam corpus, ESET stood out for each missing fewer than ten emails in the spam corpus." Virus Bulletin, a leading independent testing authority, tested anti-spam products by sending thousands of emails through each system in real-time. The VBSpam spam catch rate measures how successful the anti-spam product was at catching spam. "The overall rating is a combination of the results from the individual test cases and the PC Mark score." Anti-malware software impacts file management operations such as create, open, copy, and remove files. By replacing a heavier solution with a lighter one, the user will experience faster operation and lower impact on their system. "The results of this test only validate that ESET business products deliver what they promise – protection with no load on network systems." Communication across a network is increasingly critical in the work environment. Similar to hardware on business systems, the behavior of the network has an impact on the operation of business devices. ESET approved its low network impact in this test.